You know by now how much I love booze. Cooking with it, I mean. And also, y’know, drinking it. Because who am I kidding. But seriously. COOKING WITH BOOZE. I would do it every single day. 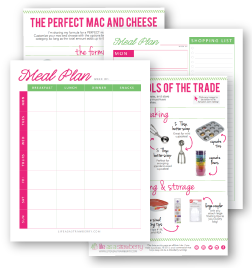 If I didn’t drink all the booze before I made it to the cooking part. (KIDDING. ….Mostly). And speaking of booze, let’s talk about breakfast. (Hah. A joke. ….Mostly). When I was a kid, I can’t remember ever having store-bought syrup at home. My mom would always make it from scratch, and we’d keep it in a tupperware salad dressing container dealio in the fridge. Because it was always fresh and devoid of nasty preservatives/high fructose corn syrup/chemicals that make your hair fall out (no offense, Aunt Jemima, or whoever makes pancake syrup) it was thinner than the store-bought stuff and generally a bit sweeter. 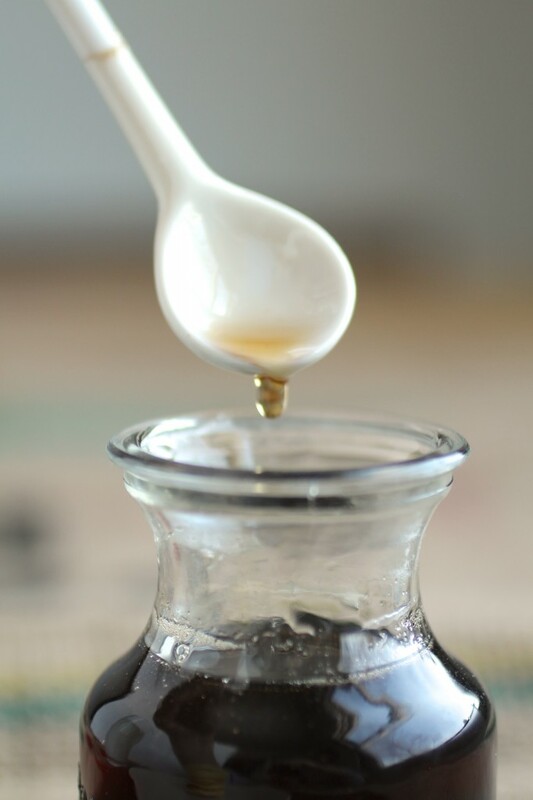 I wouldn’t even eat the store-bought maple syrup most of the time growing up, because I found it so goopy. 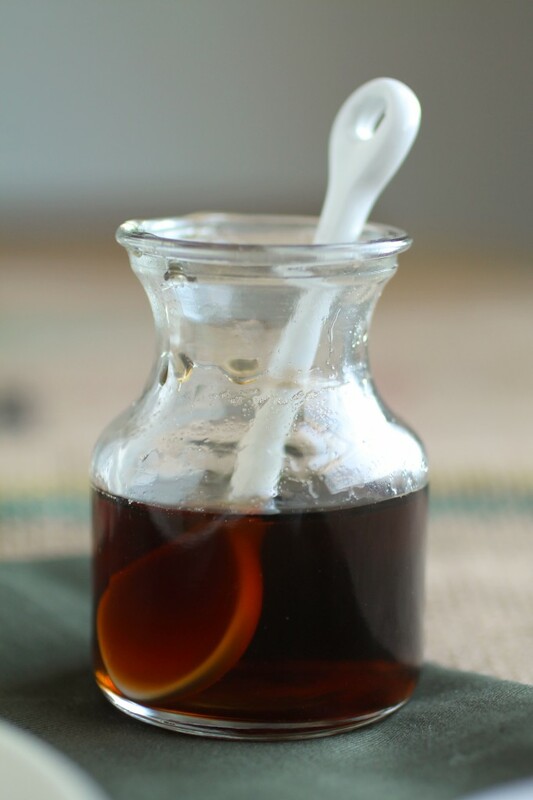 I remember refusing pancakes at post-sleepover breakfasts when I was little, wondering why they didn’t have “real syrup.” But while I may have gotten a bit less bratty about rejecting the stuff that comes in a plastic bottle, I still prefer homemade syrup hands-down. In a small saucepan, whisk all ingredients together and bring to a simmer over medium-high heat. 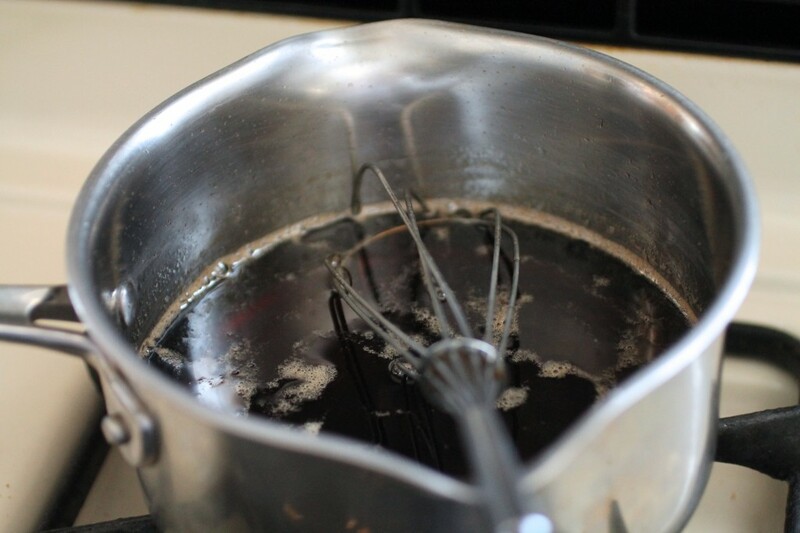 Whisk occasionally and simmer for 20-25 minutes until syrup has thickened. Pour over pancakes or waffles and serve immediately. 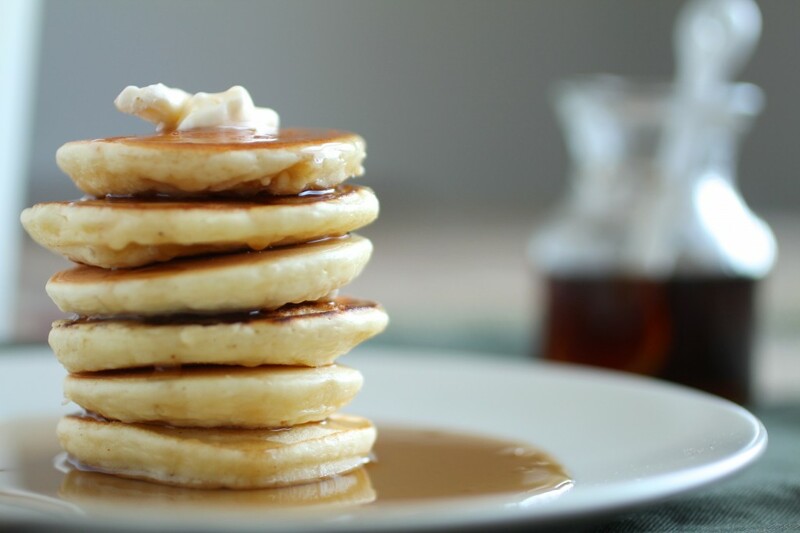 You can store extra syrup in an airtight container in the fridge for several months – just reheat it whenever you need it! 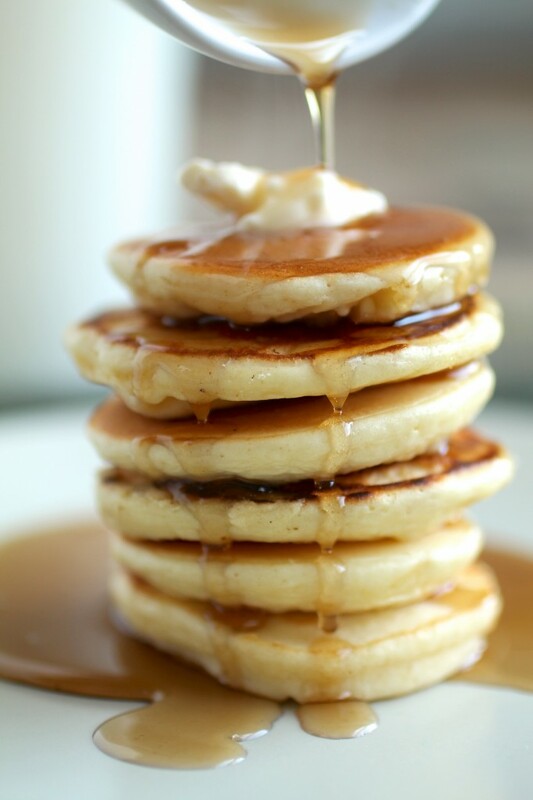 So my question is…how in the world do you get your pancakes to turn out like that? 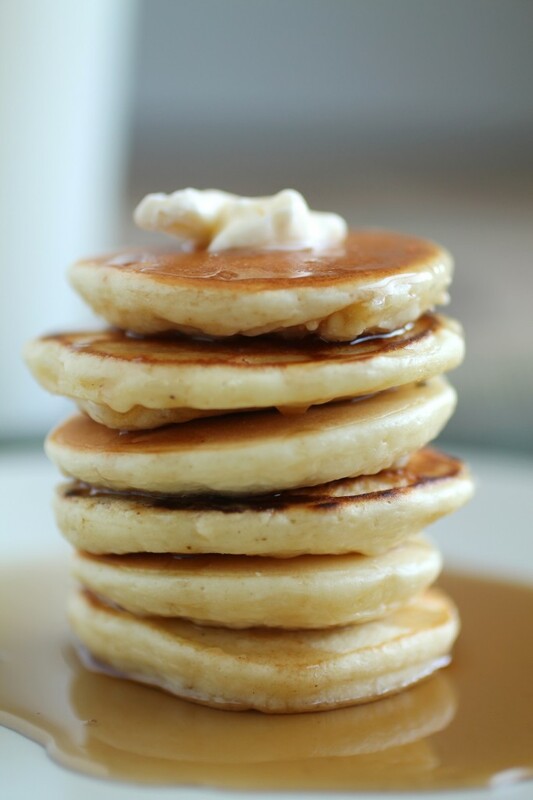 I’ve attempted to make pancakes in the past, and while edible, they are not fluffy, thick, golden, or perfect. Please bestow this wisdom upon me! Favorite breakfast food…Avacados, sliced grape tomatoes, & goat cheese on toast home made bread. 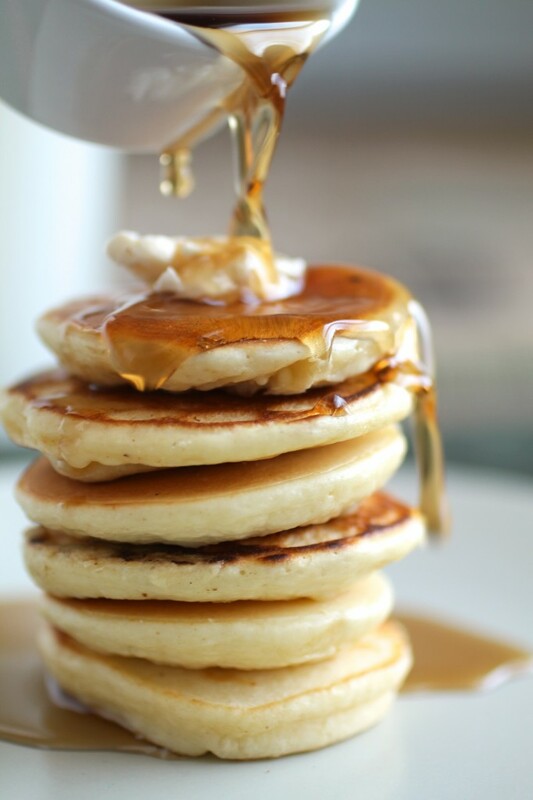 Any thoughts on doing this with liquid gold (aka pure Vermont maple syrup)? I’d love to try it but I don’t want to waste a bunch of expensive (and delicious) syrup if the whiskey wouldn’t blend or worse, actually mess up the amazing taste! Go for it! The maple syrup will thin a bit when you heat it, which will make it easy to whisk in the whiskey. They should blend fine, but if you don’t think they’ve come together well enough you can always hit it with an immersion blender to bring it together a little more. If you’re hesitant about trying it, you can always try the recipe with just a little bit of syrup and a dash of whiskey as a test run before you commit to a big batch. You had me at whiskey. Looks delicious. I can’t wait to try it!